When Toyota and Mazda said last September they would form a joint venture to produce electric-car parts, that answered the question of where Mazda's future plug-in vehicles would get their electric running gear. But it sparked another question: Where did that leave Subaru, another small automaker in the Toyota orbit? A week ago Monday, we learned the answer to that question: Subaru too will rely on Toyota for its plug-in hybrid systems. This had been widely surmised among industry observers, but now it's official. In December, Subaru announced that it would join EV Common Architecture Limited, the company formed earlier in the year by Toyota, Mazda, and parts supplier Denso to provide shared components for electric cars. Shortly thereafter, EV Common added small-car maker Suzuki, along with two more Toyota affiliates: the minicar company Daihatsu, and the truck maker Hino. Takeshi Tachimori, Subaru's chief technical officer, confirmed this month that a future Subaru plug-in hybrid model to arrive next year will use components from the Toyota Prius Prime, on sale in the U.S. since late 2016. 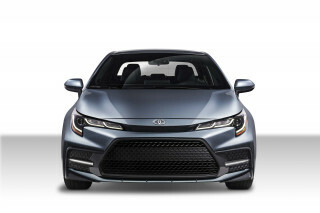 That hybrid system, he told industry trade journal Automotive News (subscription required), will be paired with a version of Subaru's characteristic flat-4 or "boxer" engine, rather than the 1.8-liter inline-4 used in the plug-in version of the Prius. While Subaru has logged nine straight years of U.S. sales increases, to the point that it vastly outsells Volkswagen in the country, it remains a small automaker on a global scale, and one that must conserve its capital investments. The company has experimented with electrified vehicles for more than 10 years, including the production of 200 Stella EV minicars from 2009 through 2011. 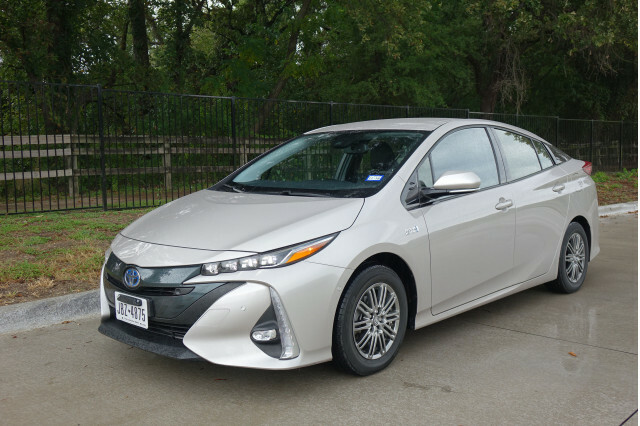 But to get the plug-in hybrid vehicle out the door in time to meet California's zero-emission vehicle requirements, which increase for 2018 and every year thereafter, Tachimori said it had "used Toyota's technologies as much as possible." 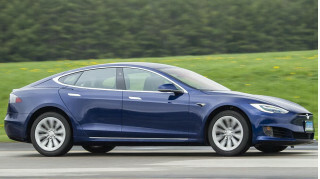 He declined to say what model the plug-in hybrid will be based on, but did say it will be exported from Japan to the U.S. (and sold only in states that have adopted California's zero-emission vehicle sales rules). 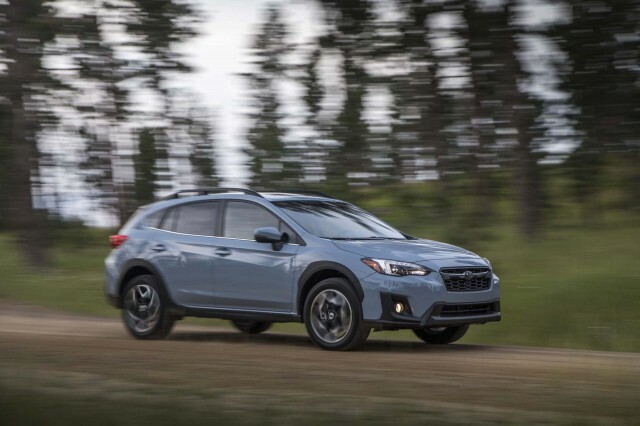 Subaru now supplies the bulk of the models it sells in North America from its Indiana plant, including the Impreza compact sedan and hatchback, the Legacy mid-size sedan, the Outback mid-size crossover, and the new and larger Ascent three-row crossover. In its product lineup, the only models still imported from Japan (aside from the low-volume BRZ two-seat sport coupe) are the Forester compact crossover and the Crosstrek that's a higher, tougher-looking crossover derived from the Impreza hatchback. A new Forester generation is likely to be launched for 2019, and any plug-in version of that vehicle would likely follow by at least a year if not two—just as the now-discontinued Crosstrek Hybrid lagged a year behind its conventional counterpart. That suggests that if the plug-in hybrid is to be unveiled this year as a 2019 model, it may well a version of the Crosstrek. We should know for sure by this fall. Toyota owns 17 percent of Subaru, but the only previous joint development venture between the two companies was the two-seat coupe sold not only as the Subaru BRZ but also as a Toyota 86 (and, briefly, a Scion FR-S in the U.S. only). 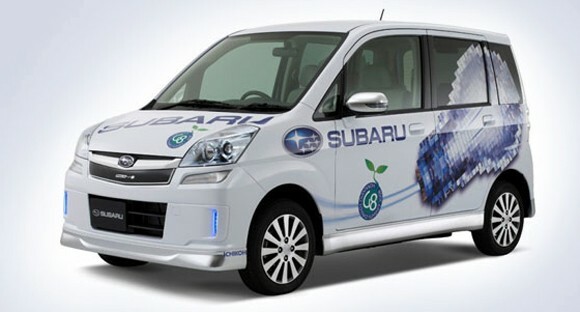 Subaru plans to launch a battery-electric vehicle in 2021, which may well be based on the Toyota underpinnings that will provide not only Toyota with its first long-range electric car to be sold in volume but also a new Mazda model as well.